I usually never iron out my intention and my aims before Ramadhan but this year, I figured, I really want to be more focused and committed in my ibadah. Past years, I usually end up skipping tarawikh prayers towards the end either cos I was always iftar-ing outside and then by the time, I reach home, I'm too tired. So this year, alhamdulillah, I've been keeping up, telling myself, no excuses, no matter how nice the bed looks, what is an extra 11 rakaahs compared to what Allah has blessed me with? So, at times, if I'm not doing it at home with my family, I'll go to the multipurpose hall near my house. 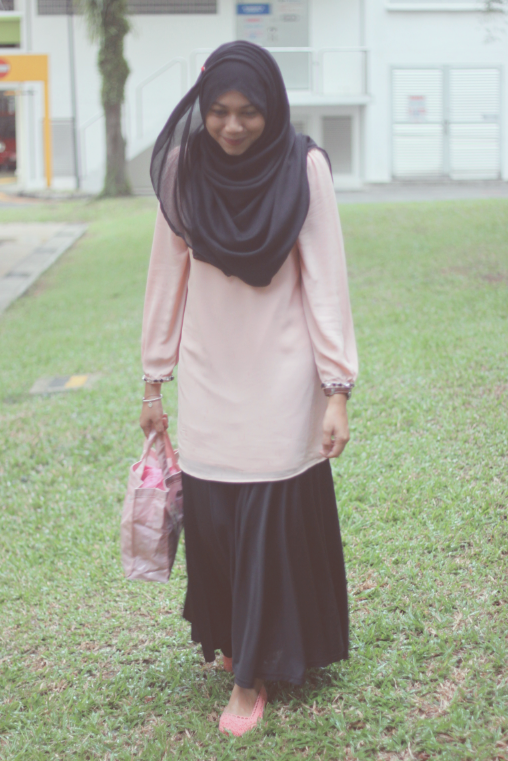 In the simplest outfit I can find in my closet and my telekung bag hehe. 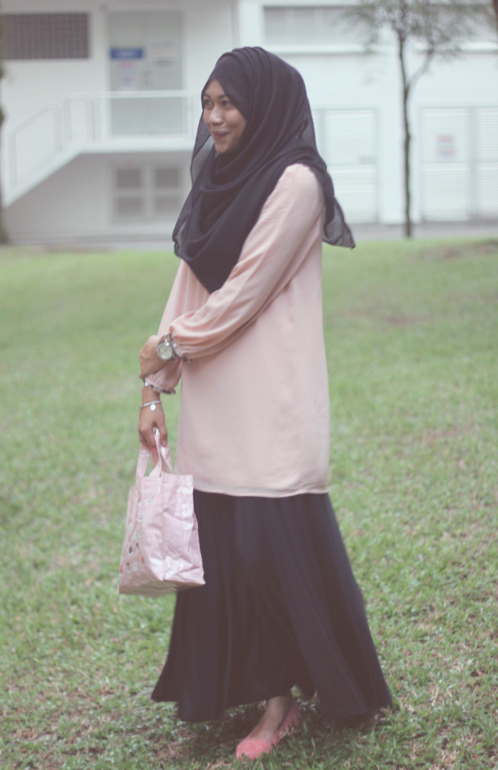 I love putting together this outfit because I like the structure of a long top and a flowy maxi skirt. I think it gives you an illusion that its a baju kurung but the skirt just adds a whole new dimension to the outfit. 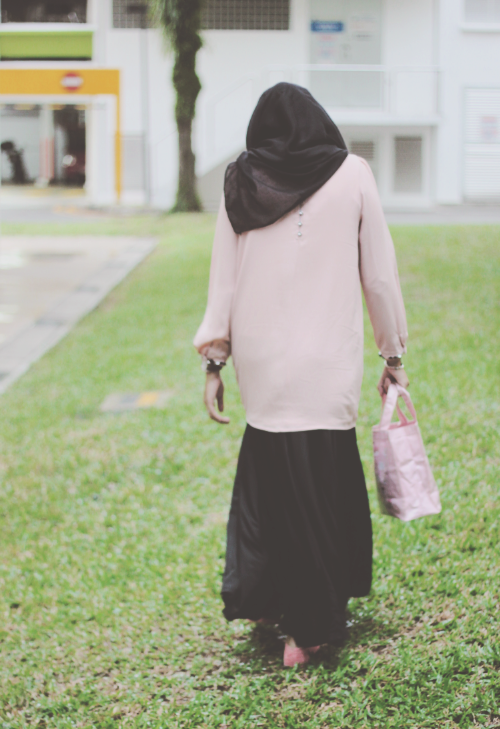 The skirt material looks so lux and initially, I thought it was going to be thick and heavy but surprisingly, the material is so cooling and light. To create a similar look, all you need to find is a top/dress that goes all the way to just above your knees or covering your knees slightly and then, get this swishy flowy skirt for the lovely flair. See the gorgeous satin finish and the flair when you walk? 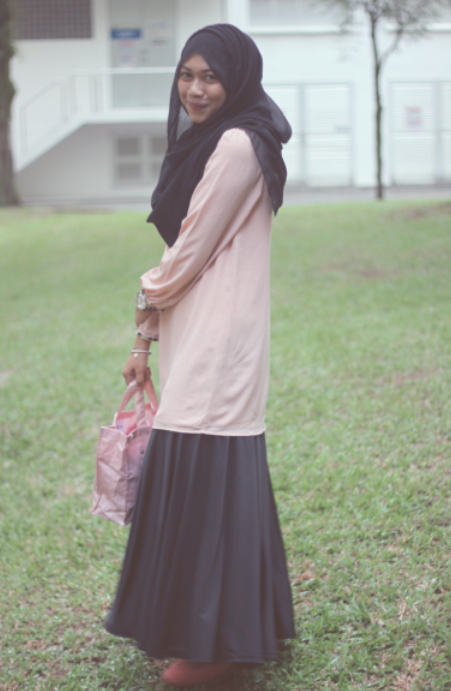 This Carissa skirt from Farahlulu.com comes in 4 colors. Deep red, Electric blue, Fuschia and Black! 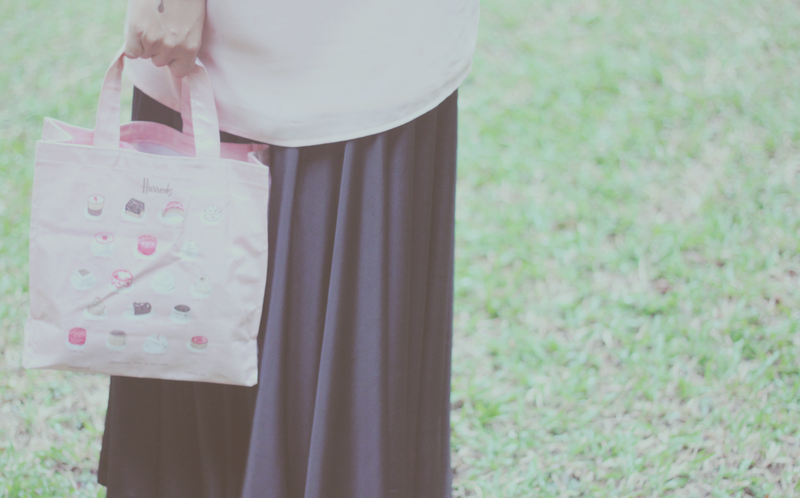 Click on the link below to be redirected to Farahlulu.com's shopping site. Hope all of you are doing well this Ramadhan! May we continue to do good, neglect evil desires and may Allah accept our ibadah and forgive us for our sins.